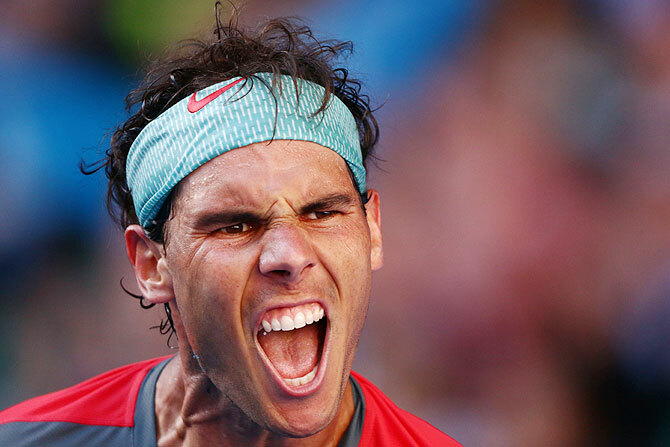 A battle-scarred Rafa Nadal admitted he got lucky as he moved into the semi-finals of the Australian Open on Wednesday with a 3-6, 7-6 (3), 7-6 (7), 6-2 win over Bulgaria's Grigor Dimitrov. Dimitrov had three set points in the third that would have given him a two sets to one lead, but World No 1 Nadal hit back to take the tiebreaker 9-7 before easing through the fourth to book his place in the last four. "I got lucky," Nadal said in a courtside interview, referring to the third set, when Dimitrov had set point at 6-5 on the Nadal serve and then another two in the tiebreak. A shanked return cost him the first one and he missed an easy forehand on the second before Nadal cut off the third with an angled volley. The Spaniard, who missed last year's event through injury, then broke early in the fourth set to lead 2-0 and maintained his advantage to seal victory, leaving Dimitrov fighting back the tears. 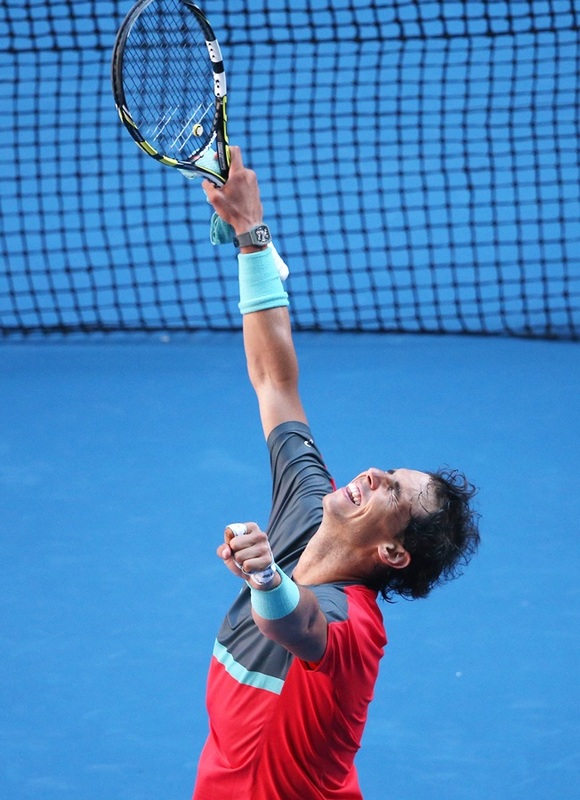 "It was a great atmosphere, a great afternoon and I hope you enjoyed it, but I suffered a lot," Nadal told the crowd. Dimitrov, seeded 22nd, broke Nadal in the second game of the match and raced to a 5-2 lead, holding on to win it 6-3 with some attractive shot-making. Nadal hit back to win the second set and led by a break in the third before Dimitrov rallied, earning himself a set point chance at 6-5, only to see it slide away as the Spaniard prevailed in a tight tiebreaker. Nadal, who could become only the second man in the open era to win all four grand slam titles at least twice, had treatment for blisters on his left hand and admitted he was in discomfort throughout. "Especially with the serve," he said. "The rest of the things are more or less fine but I feel like on the serve I can (drop) the racket. "It's fine, I am going to try to keep improving it tomorrow. The blister is much better but if I am not playing with that protection it is much worse." The 22-year-old Dimitrov was appearing in his first grand slam quarter-final and Nadal said he believed the Bulgarian would be a threat at every tournament from now on. "He has everything to become a great champion," he said. 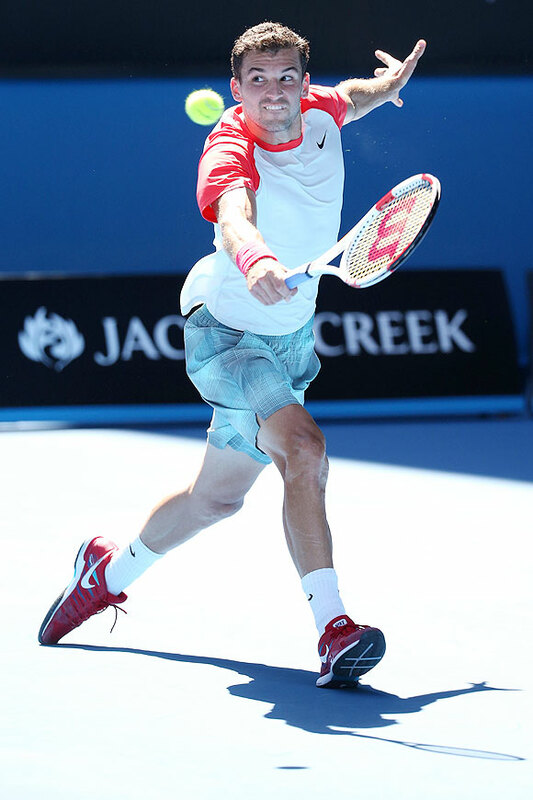 "There are a lot of similarities with Roger (Federer), his style. If he is able to keep playing this way, with normal progression, he will be very tough." Djokovic's defeat analysis: Bye Bye Boris sooner than expected?